As we’re growing up, most of us have stepping stones as we achieve the awesome task of “growing up.” There are birthdays (“I’m three years old!”), Christmas (“Is there really a Santa Claus?”), starting school, graduations, the senior dance, career choices, partners, promotions, anniversaries, and if one has children the whole cycle begins again. Yesterday, however, I stumbled on a big stepping stone for us elderly. Perhaps I should call it a boulder. My husband and I were going out to a new restaurant to celebrate the 44 years we have been living together. We left for an early meal – 6:00 – when the rush hour was at its height and it was fully dark. But we were driving on roads with which we are very familiar, and the drive was not more than 20 minutes. Night driving, even all-night driving both in the US and here in the UK and Europe, is something we have done probably thousands of time. It never daunted us. Last night was different. It was awful. Cars were speeding, failing to dim their head lights, and traffic was even held up by a road work vehicle. But that wasn’t really the problem. We’re the problem. Our responses are getting slower, our supply of energy is less, our capacity for dealing with stress reduced. We both found ourselves staring into the lights glaring out of the dark saying emphatically “Never again!” We will never again voluntarily drive in the dark for recreational purposes. If we can’t take a taxi, we’ll stay at home, cook our own dinner, and watch television. Or go out to lunch or wait until the long days of summer. So how is this a stepping stone? Well, it’s really the vestibule. I have seen in a generation before mine that facing the reality of not driving takes honesty and courage. Giving up one’s driving license is the Great Stepping Stone. It’s the great recognition that one is getting old. Not older. Old. I think it’s unlikely that I will live long enough to indulge in driverless cars. So if something else doesn’t stop me first, I’ve had my first glimpse of that Great Stepping Stone that just got a little bit closer. The great question is what I will make of it. And I thought it was uniquely our practice not to dim lights. Thanks for the beautiful quote. I just completed what was thought to be a routine check-up. Due to rumbles on the inside I seem to have set my foot squarely on a ‘stepping stone’ – for now, been advised to cut down all activities by half and more! 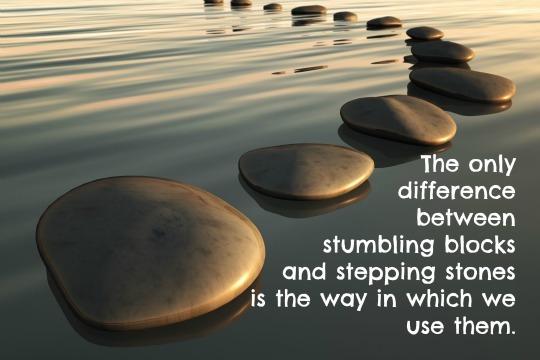 Raghu – Your stepping stone sounds a little bit more challenging than mine at the moment. If your own blog posts slow down in the days ahead, I will miss them, but certainly understand. I don’t know if you will find it strange that it should be so, but you will be much in my thoughts and best wishes as well. Oh boy I thought that was unique to the States driving with your bright lights on. Had cataract surgery last year and any bright light makes my eyes very uncomfortable. I like how you think of ways to make adjustments with the aging process. Going out for lunch sounds good to me and it’s usually more easier on the wallet. It’s all about adapting isn’t it. Donna – Thank you for your encouraging comments as we trudge along together on this path of aging. I suspect some people find it escapist, but I find it strengthening to look for the upside of life’s challenges. And the paradox, as perhaps you will understand too, is that some of the worst and the best things that have happened to me have turned out to be the best things. With that thought in mind – Happy Presidents’ Day! Thank you for your comment. In recent years I have tried to watch people who seem to be happy as they grow old and those who seem grumpy and dissatisfied. I learned a lot and I’m trying to do what I’ve seen those who have proceeded me. Hopefully you will also be lucky enough to have a few examples you want to follow.